Assisted living combines the best of two worlds: independence and support. 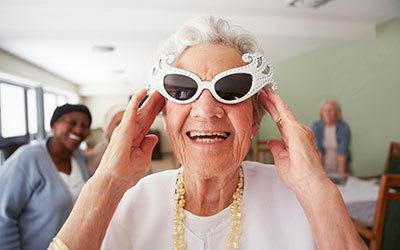 Older adults who choose Randall Residence assisted living enjoy participating in a variety of life enrichment programs like you would find in an active, independent living community. They do so knowing our compassionate team of caregivers is always nearby if they need a helping hand. From support with personal care to medication assistance, this combination allows each of our residents to live fuller, more independent lives. The caregivers at Randall Residences know how important it is to encourage independence while still providing a helping hand when it’s needed. We extend an open invitation to you and your family to visit the Randall Residence nearest you for a personal tour. One of our team members will be happy to show you around and answer any questions you have about senior living!